This past long weekend, I made my very first ice cream pie. For some reason, I always thought they would be harder to make. I don’t know why I assumed I needed special equipment like an ice cream maker! I had just about everything I needed already in my kitchen. It was super easy to make! The crust is waffle cones broken into small pieces, Fisher Chef’s Naturals Sliced Almonds, butter and honey to hold it all together. It’s a crunchy texture coupled with the soft sweetness of the ice cream to make a heavenly dessert. I’m doing a review for Fisher Nuts coming up and they sent me some nuts to try. I found this recipe on their site and adapted it to suit our tastes. Really you could put whatever flavours of ice cream you want as well as change up the syrup. I love caramel, but Bridget doesn’t so that’s why we only used chocolate. We usually buy Dairy Queen ice cream cake for birthdays, but making my own is so much cheaper and tastes just as good! Layers of crushed waffle cones, chocolate syrup plus chocolate and vanilla ice cream make this cold dessert perfect for summer! In bowl combine honey, butter, waffle cones and ¾ cups almonds and mix well. Firmly press mixture into the bottom and along the sides of 9-inch pie plate. Freeze 30 minutes, or until firm. 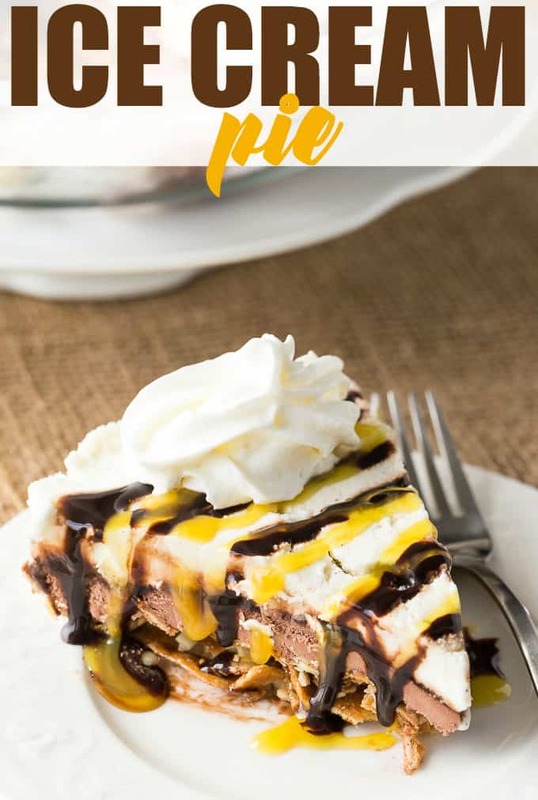 Layer softened chocolate ice cream evenly into crust; spread with chocolate syrup. Freeze 30 minutes or until firm. Place softened vanilla ice cream over chocolate syrup. Cover; freeze 4 hours or until firm. Before serving drizzle with topping of choice. Top with dollops of whipped cream and remaining almonds. 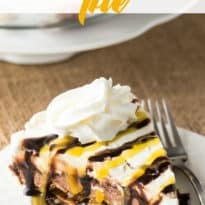 That ice cream pie looks fantastic! I’m visiting from “Inspire Me Monday”. This is a recipe I’d like to try! What’s not to like about ice cream? Mmm, good! Thanks for sharing. Have a blessed, safe, and fun 4th! 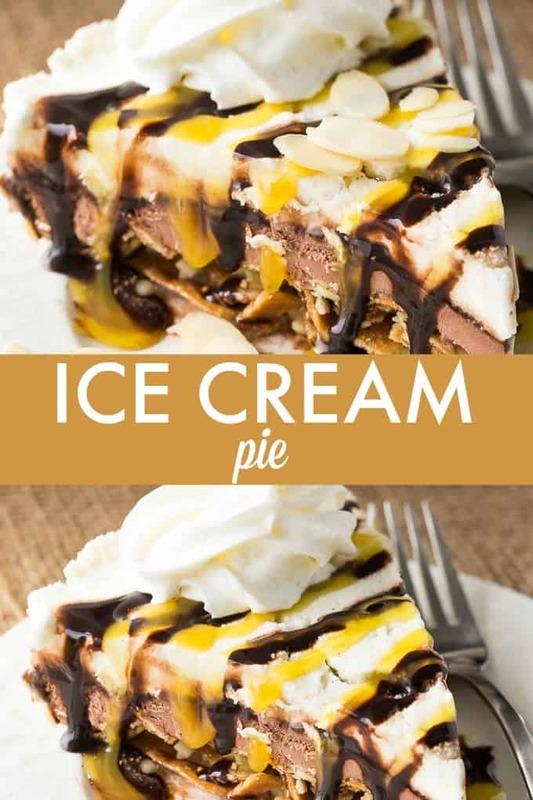 What a yummy ice cream pie! Looks like the perfect summer dessert. Thank you for sharing your recipe at the #HomeMattersParty this week.